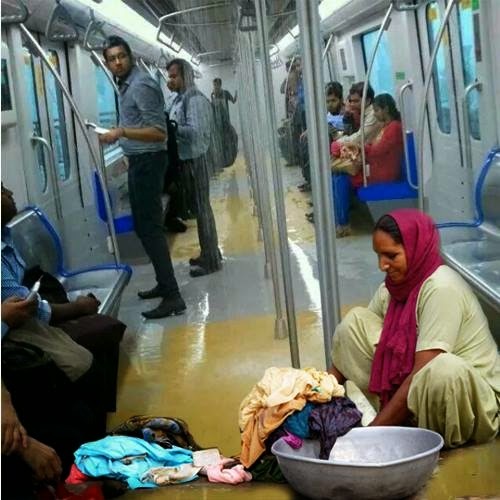 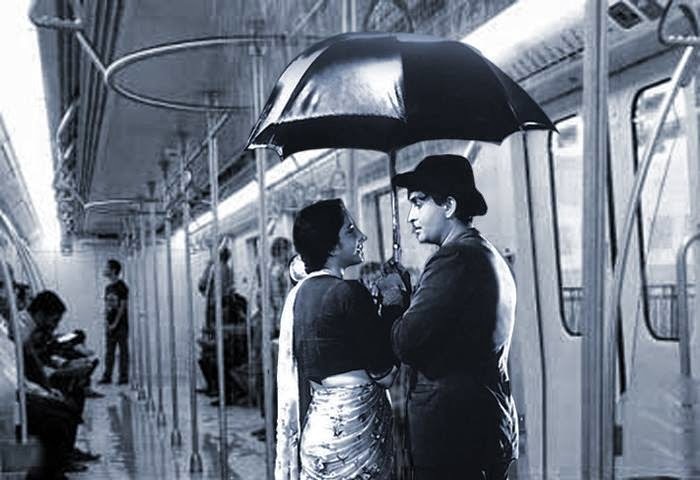 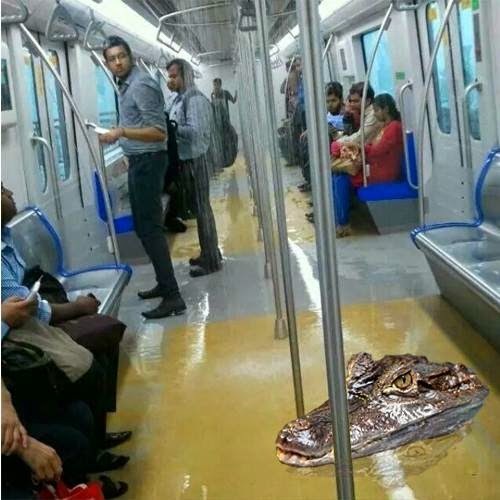 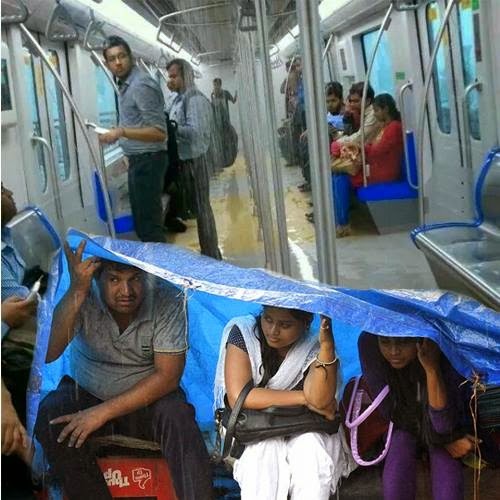 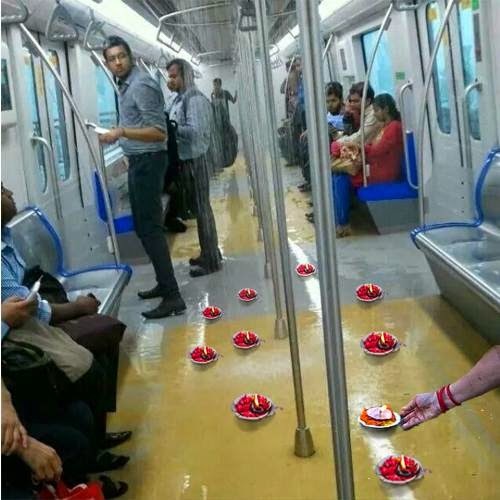 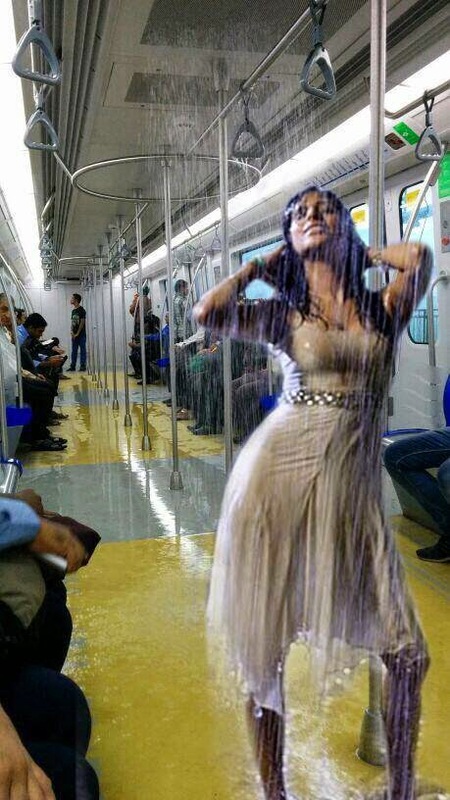 miscellaneous : Mumbai Metro Leakage and how social media reacted through images. 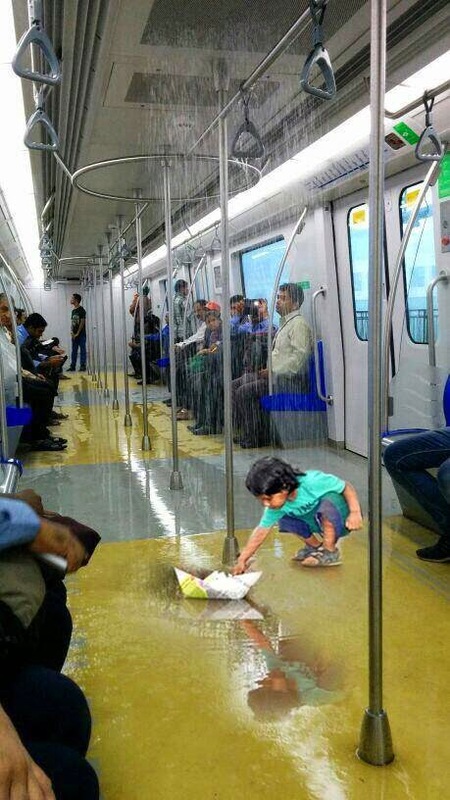 Mumbai Metro Leakage and how social media reacted through images. 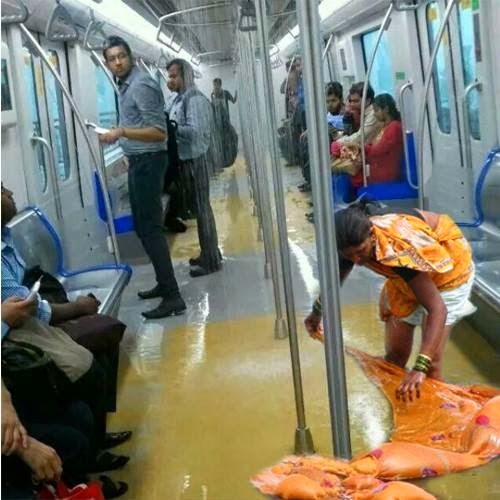 With the onset of Monsoon in the first week of July 2014, The big news in Mumbai is that Mumbai’s newest pride, the brand new Mumbai Metro, is already leaking water. 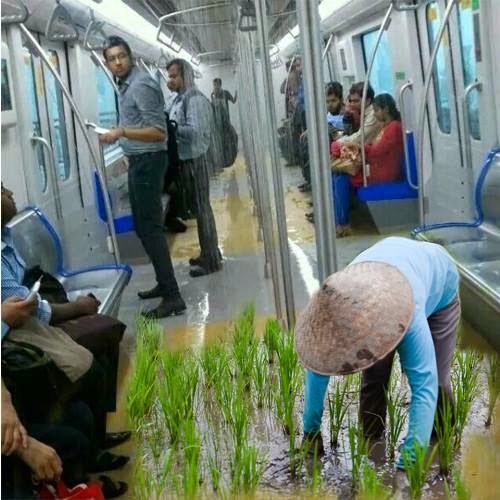 In one of the rakes of the train there was leakages. 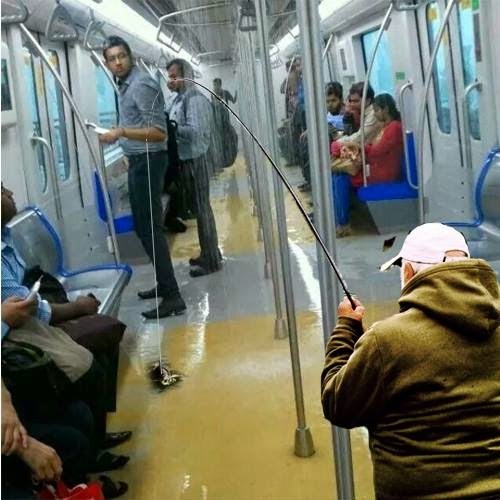 needless to say In Social Media people pounded it heavily, Some of the cheeky pix from Facebook & twitter, of course they were photoshopped, but it is fun. 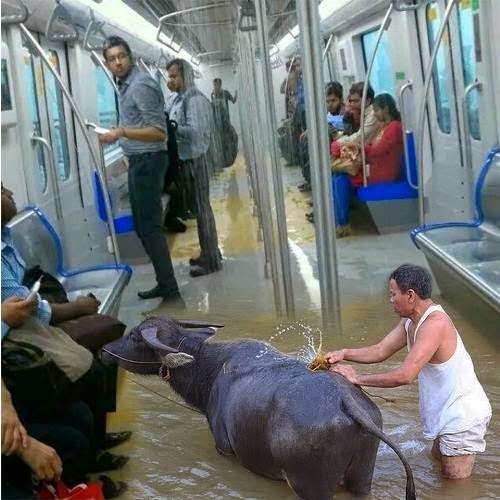 Just for fun no pun intented to anyone.